After 30-plus years of being asked, “May I have that recipe, please?” caterer, hostess, and beloved TV personality Vera Stewart is finally divulging her culinary secrets. 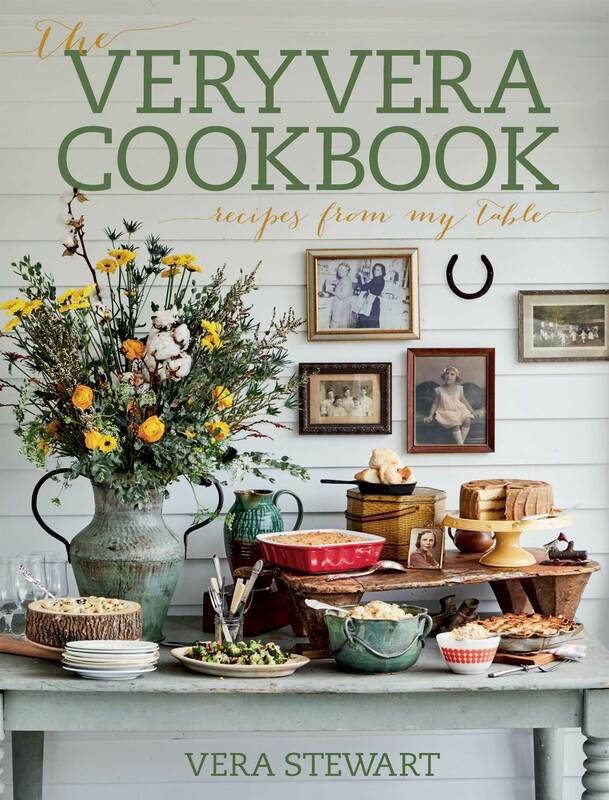 In The VeryVera Cookbook: Recipes from My Table, Vera invites you to dine in her kitchen by sharing more than 75 of the favorite Southern-inspired recipes that put her VeryVera Café and mail-order business on the map. From buttermilk biscuits to pecan-crusted chicken salad, Bitsy’s meatloaf to the carrot cake that beat Bobby Flay, this cookbook is the culmination of an outstanding career made from sharing delicious food with her family, friends, and devoted customers. Vera pours her heart and soul into each recipe—just like Mama made it.